A non-demanding 20-minute mini-musical creates a perfect work to include in your seasonal schedule while you are concurrently working on Christmas. Each of the songs can also be used individually for a Sunday service. 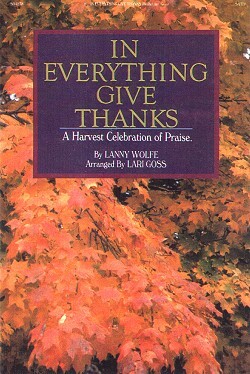 The combination of songs with strong lyrics and wonderful melodies of Lanny Wolfe along with the unique arranging skills of Lari Goss make this a winning combination.